Horse lovers opportunity! Live your dream. Affordably priced! Centrally located, completely renovated farm house, newly built metal barn, 5 horse stalls, fields, paddocks and a riding arena! Move right into to this cozy cape with original maple tongue & groove floors finished to a beautiful sheen. All mechanics updated, SOLAR electric, covers all buildings on the property for a very small price. 22 acres of beautiful land to ride, run a business, or enjoy life. 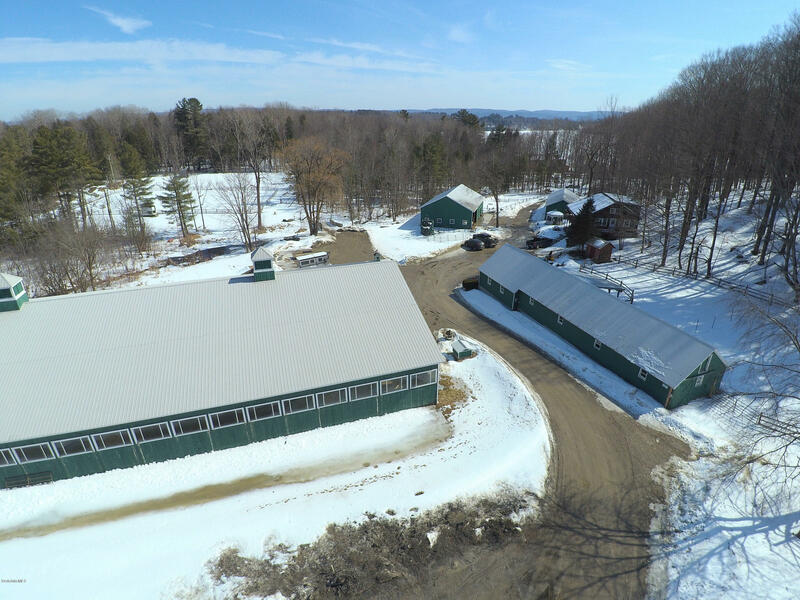 Custom built post and beam farm house with views to the south on 8+ acres with horse barn, fenced pasture, paddocks and riding ring. 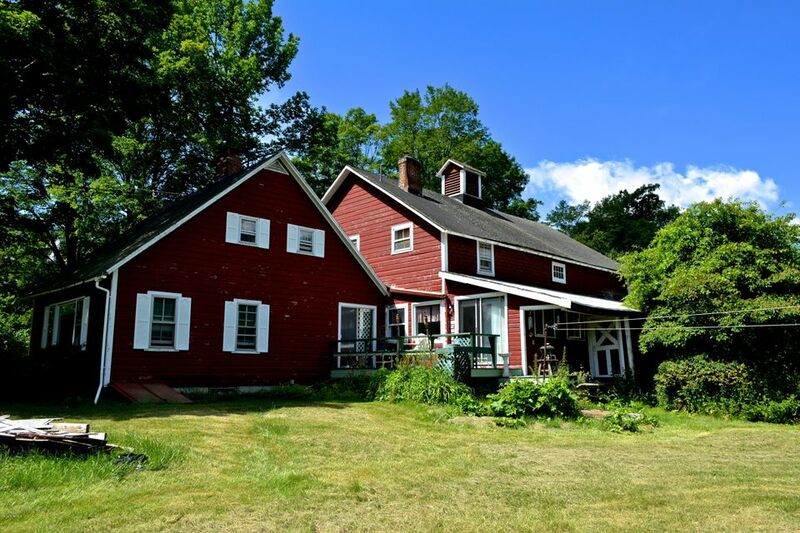 This three bedroom, three bathroom home is Vermont country living at it's best. Relax in the shade of the front porch or soak in the sun on the back deck before you curl up with a book on the screened porch for the evening. The open floor plan begins in the kitchen with granite counter tops, island and easy access to a dining area or the formal dining room. The living room centers around a wood burning fireplace which provides warmth and ambiance on those snowy winter nights. The first floor den and 3/4 bathroom, along with a mudroom and direct entrance to a two car garage complete the first floor which has radiant heat and beautiful red birch wide board flooring. The master suite has palladium windows for the mountain views and natural light for this expansive room with a vaulted ceiling. There are two more bedrooms and bathrooms on this level with some yellow pine flooring. This beautiful home is located within minutes to Killington Mt., the Chittenden Reservoir, Mt. Top Inn and Resort and Rutland shopping. Miles of trails from your front door for riding, hiking, running and biking. Barstow school and school choice, as well as privacy make this a wonderful location. Braeside Farm is private yet has a view and is not far from town. 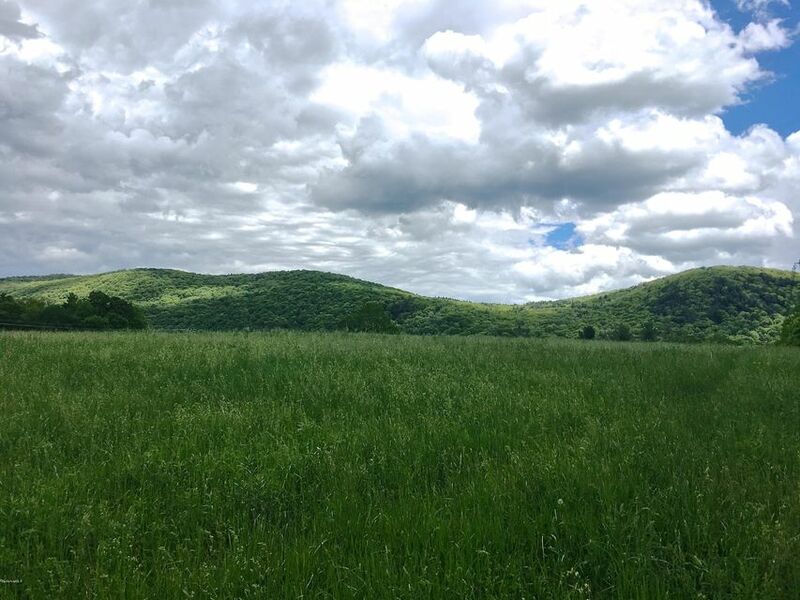 Own your own 100 acre wood-- in Vermont--with beautiful western views, meadows, woods and stream. Privacy and Serenity abound on this magical property located close to both Bennington and Williamstown. 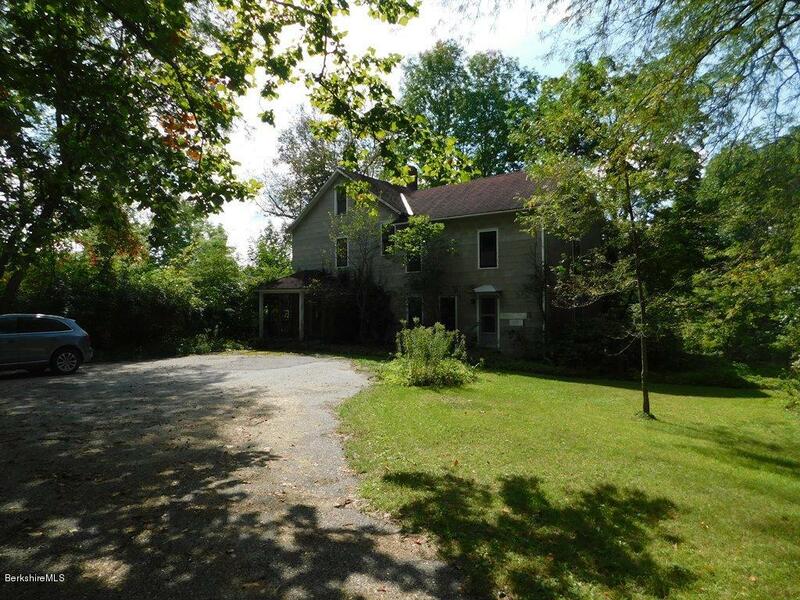 Awaiting renovation the spacious 1910 farmhouse offers 5 bedrooms and 3.5 baths, living room, family room, kitchen, porch and patio. A loving hand will return this farmhouse to a remarkable country home and private getaway with its own little guest house. Follow your dream, plant an orchard, grow your own vegetables, ride your horse, take a walk, smell the flowers, sit on a hammock and read-the possibilities are endless! 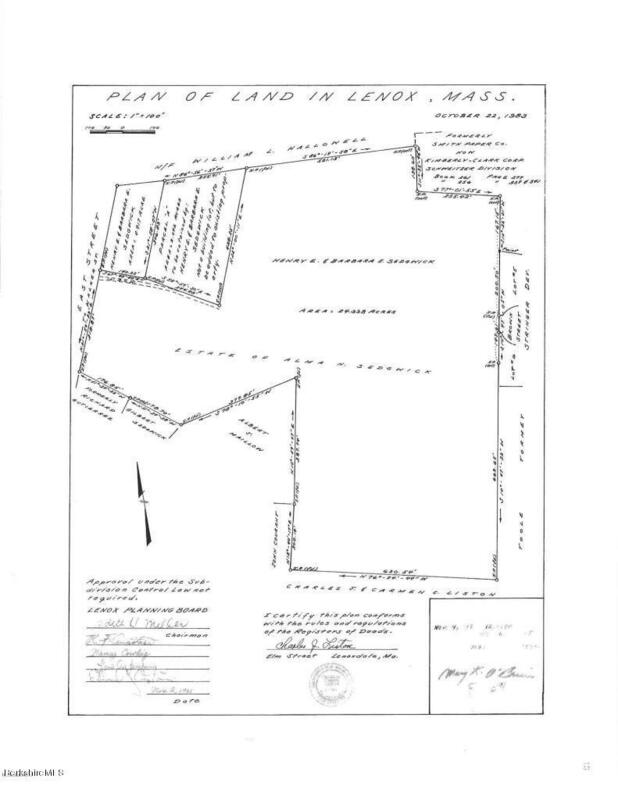 95.6 acres with frontage on both Ladd and Brookman roads. 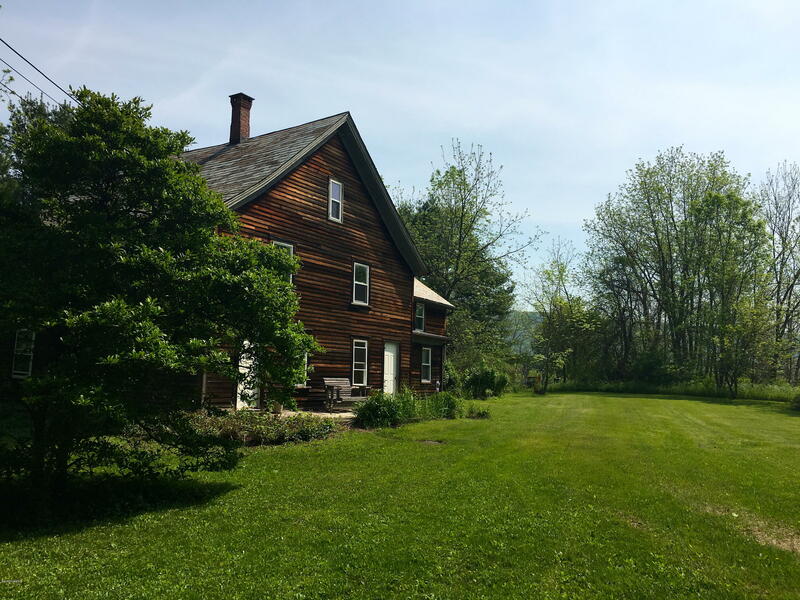 Turn of the century Lenox Farm House on 48 private and peaceful acres with breathtaking views of October Mountain. Many possibilities here for working farm, a horse farm, subdivision/development. Frontage w/Residential and Industrial zoning. Just 1.5 miles from Lenox town center. 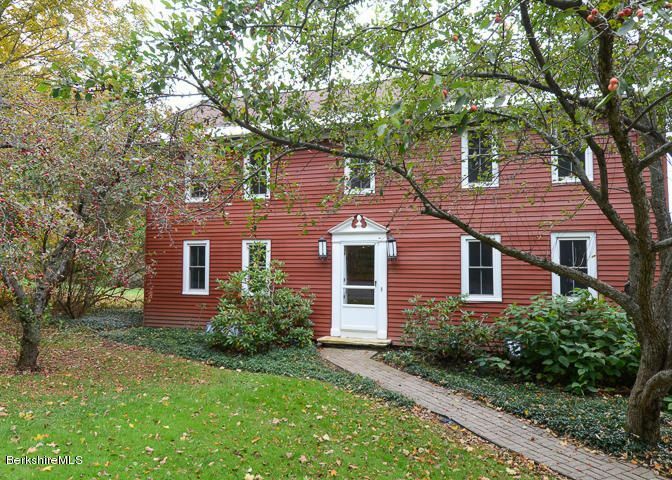 Priced to sell WAY below assessment, this property offers SO much: beautifully renovated 5BR Farmhouse on almost 20A, fabulous newer building with indoor/outdoor heated pool with sauna, mini kitchen, full bath, dressing room (the roof retracts!! ), 2 beautiful and fully renovated guest houses and a huge horse barn....add to that October Mt. Views! This would be a great family compound or convert back to a B&B or Inn for horse lovers! Whatever your use, this is an incredible price for all that it offers! A unique and design-forward country house with an interesting industrial past, converted decades ago from a screw factory in the woods to residence, then again more recently into a chic four-bedroom home with loft-like entertaining spaces and an ECOsmarte in-ground pool - the most non-toxic pool system available, using no chlorine or salt. 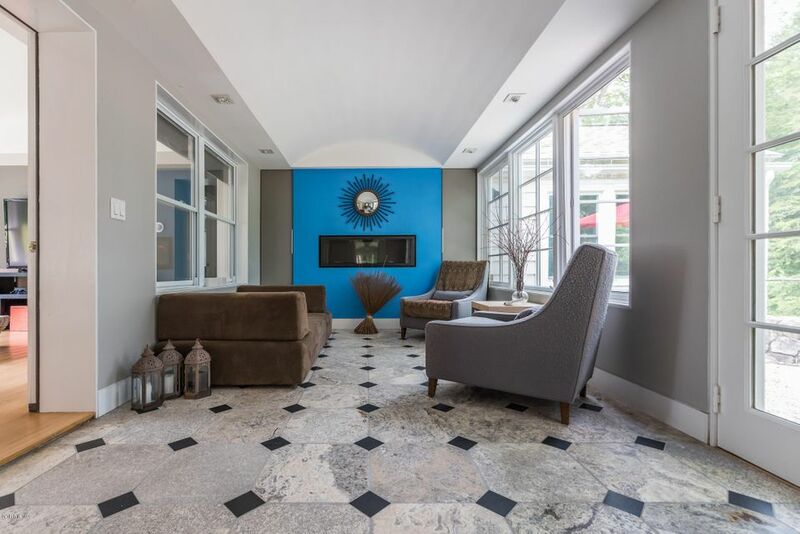 The spacious single-level interior offers family and guest wings, recently renovated bathrooms - some en-suite, an open contemporary kitchen, and modern gas fireplaces. Located on a beautiful gravel road in desirable Monterey and abutting 12,000 acres of state forest with nearby hiking and horse trails, Lake Garfield town beach is a bike ride away. Strong rental history.